On the 14 October, a bespoke collection of Zambian emerald jewellery will be auctioned by Sotheby’s at an exclusive Gemfields’ event in the Taj Mahal Palace Hotel in Mumbai. This star-studded occasion is the finale of the fund-raising project, Emeralds for Elephants India 2011, and is set to raise substantial funds to help protect the Asian elephant in India. Following on from the success of Emeralds for Elephants London 2010 that raised a magnificent £80,000 for elephant conservation in India, the event is supporting the Indian Elephant Corridors appeal, a collaborative project between the World Land Trust (WLT) and the Wildlife Trust of India (WTI). 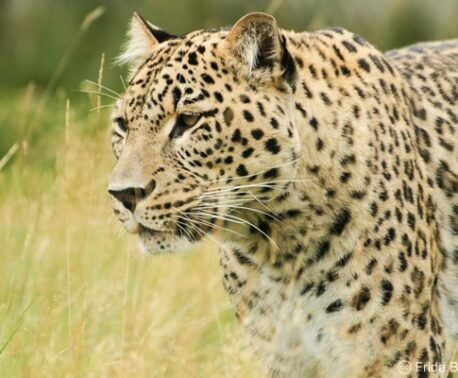 Both fund-raising projects have seen WLT and WTI team up with Gemfields, the leading ethical coloured-gemstone mining company, to create more wildlife corridors. These corridors connect one protected area to another – giving India’s impressive species space to roam. 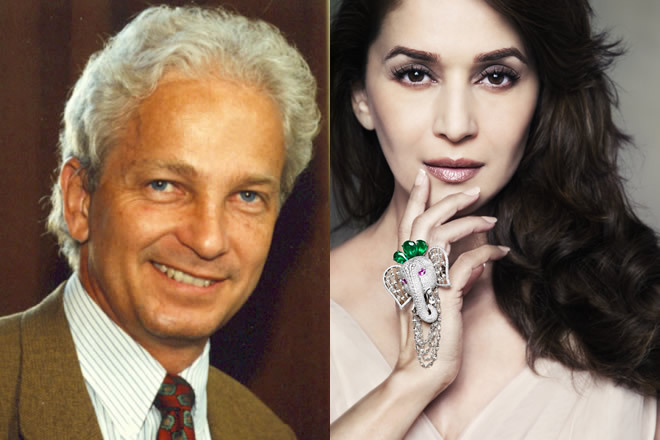 WLT Patron David Gower who will represent WLT at the auction and brand ambassador and Bollywood superstar Madhuri Dixit wearing the Nirav Modi Zambian Emerald brooch. Generating a whirlwind of media excitement, Emeralds for Elephants India 2011 has been hitting the headlines – from Grazia magazine to The Times of India. As the jewellery collection, created by 10 of India’s top designers, toured across the country from July it caught the attention and support of India’s elite, from Maharajahs to Bollywood superstars. This excitement will culminate on 14 October at the Gemfields’ exclusive auction event, when the whole of India will welcome World Land Trust (WLT) patron, David Gower – the much-loved former English cricketer, who is best known for being one of the most stylish left-handed batsmen of the modern era. David, who now commentates on Sky Sports, is a huge star in India and will be hosting the auction – yet again showing his great support for WLT’s conservation work. 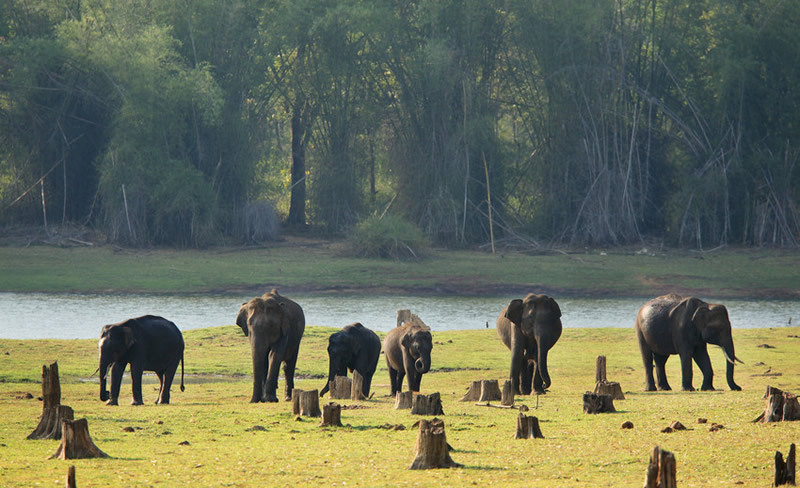 Asian Elephants in Nargahole National Park. WLT’s work to create wildlife corridors will enable elephants to move freely into neighbouring forests. Photo © David Bebber. Behind the excitement and glamour of Emeralds for Elephants, there is the plight of a third of the world’s poorest people. As India’s poor pay a deadly price for the country’s population growth and spiralling development, this fund-raising project is an urgent bid to save human life and protect threatened wildlife. As India’s natural landscape disappears – paving the way for new roads, housing and industry – people are increasingly settling into more rural locations which are frequently within the migration paths of animals, traditional routes that India’s species have used for centuries. This is intensifying the conflict between people and animals, as they are pushed closer together they must fight for space to live. The result is inevitable; there were 200 elephants killed by humans last year, while 500 people were killed by elephants. How does creating a wildlife corridor help? 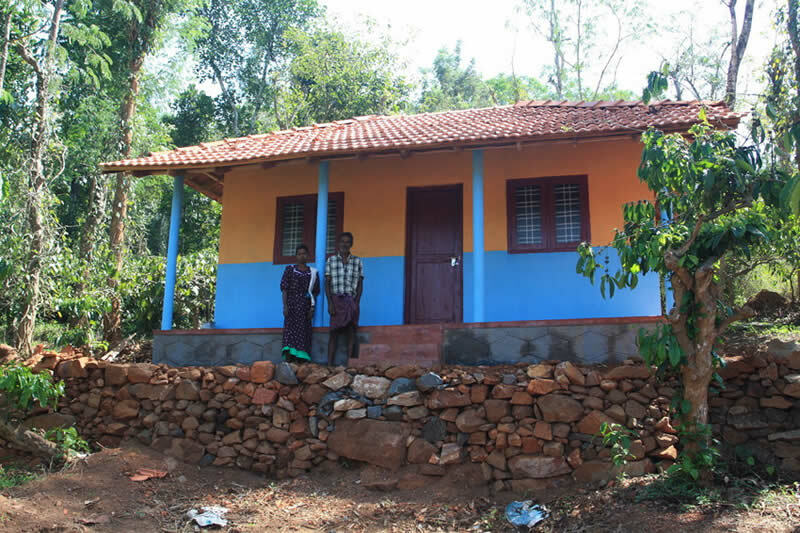 Families voluntarily relocated from the Wayanad Corridor, Kerala, South India stand proudly outside their newly constructed house. Photo © Marie Chambers. Creating a wildlife corridor links one protected area with another – giving elephants and other large ranging species, like tigers, space to roam. This is essential as it gives them room to forage and to avoid conflict with people. It can also help to increase their gene pool, by allowing separated populations to meet. Protecting these corridors is usually just the beginning; conflicts between people and animals are potentially life threatening and WTI must often help to move people out of harm’s way through voluntary relocation. The urgent need for this was highlighted when, between October 2010 and March 2011, tigers killed seven people from villages settled within a migration route in the northern state of Uttarakhand. The tragedy is that WLT has been working with WTI towards protecting this wildlife corridor and relocating villagers. Unfortunately these projects can take years to complete – it is a long process to ensure every villager is happy to move, to buy land as prices continue to escalate, as well as to build new homes and schools. 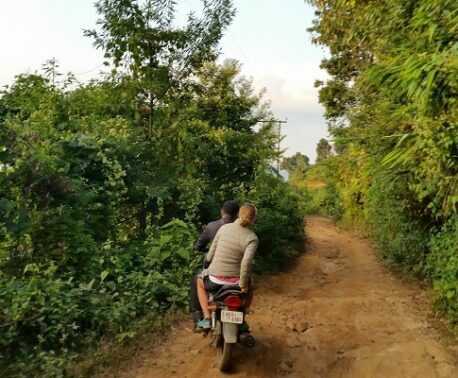 The positive news is that because of the tiger attacks, the villagers are now in favour of moving away from the migration route, and the Forest and Wildlife Departments gave their support to WTI’s initiative to begin turning the area into a protected wildlife corridor. Emeralds for Elephants India 2011 is raising funds to secure this wildlife corridor in Uttarakhand and relocate the villagers as quickly as possible, but more donations are desperately needed. As land prices in India continue to spiral, please support the Indian Elephant Corridor appeal today. 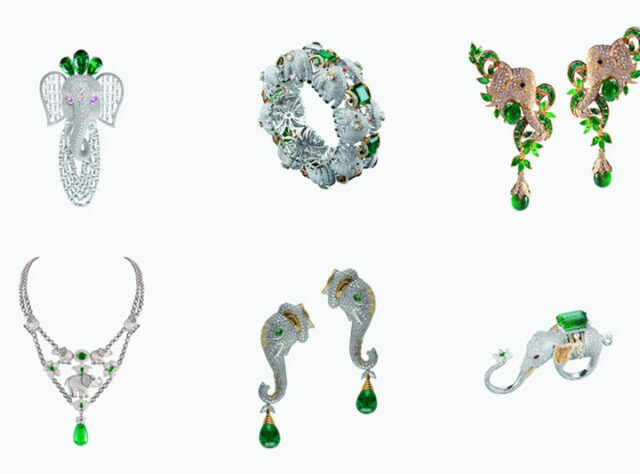 The top image shows a selection from the Emeralds for Elephants collection. Clockwise from top left: Nirav modi brooch, Narayan ring, Vummidi Bangaru earrings, Narayan ring, Abaran earrings, and Khanna necklace.